The German-owned A-Rosa Brava is part of an 11-strong fleet that was founded in 2000 as a joint venture between the shipping company, Deutsche Seereederei (DSR), and P&O. The line is now solely owned by DSR. A-Rosa has recently begun to market its product in the English-speaking market. 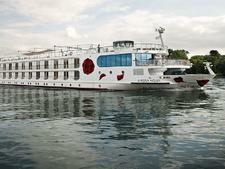 Offering a "casual-deluxe" environment, A-Rosa Brava carries the fleet's distinctive hallmarks (a large pair of lips on the bow carrying a red rose and rose-themed interior). 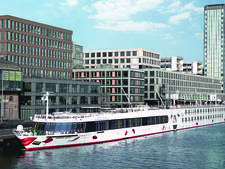 It also boasts several unique features for river cruising, including a branded spa, a stage for entertainment and family-friendly cruises. Although Brava is not one of the fleet's "international" vessels -- which have a second dedicated English-speaking host -- all crew members are bilingual and onboard information and literature is also in English. Cruises are sold to U.K. passengers on A-Rosa's Select Premium all-inclusive basis, which covers all drinks (excluding Champagne and premium brands), complimentary Wi-Fi, no single supplement on selected departures, free use of onboard bicycles, at least one shore excursion and free travel for children under 15. 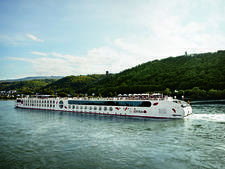 Between April and December, Brava sails on Rhine itineraries departing from Cologne and ranging in duration from three-night "taster" cruises, which will particularly appeal to passengers new to river cruising who want to test the proverbial water, to seven-day voyages. The majority of passengers are from Germany, where the line has its roots. However, the line expects to increase an already significant percentage of English-speaking passengers in coming years. Unusually, for river cruising, A-Rosa actively welcomes children and families, so there are sometimes multigenerational groups onboard. General amenities, and food, reflect more than a passing nod to the German passion for health and fitness. 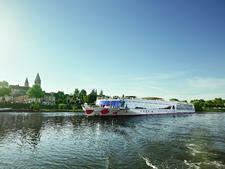 As a result, the average age for passengers is 57-- much younger than the normal river cruise demographic. The ship has a relaxed atmosphere and there is no set dress code. Comfortable, casual clothing is suitable onboard and during excursions. Bring warmer clothing for evenings on deck, plus comfortable shoes for walking tours and free time as many towns have uneven, cobbled streets and steps. Some passengers like to dress up for a la carte dinners in the restaurant, but full-on cocktail attire and evening dress can be left at home. Unlike European cruise vessels that attract a predominantly American market, onboard gratuities are discretionary and not included in the fare or automatically expected. A gratuity box, distributed between all crewmembers, is left at reception at the end of the cruise and passengers who want to show gratitude to individual members of staff can tip them directly. Gratuities can also be added to the onboard account and settled by credit card. For those who choose to tip, the recommendation is €6 per person, per day. The onboard currency is the euro.